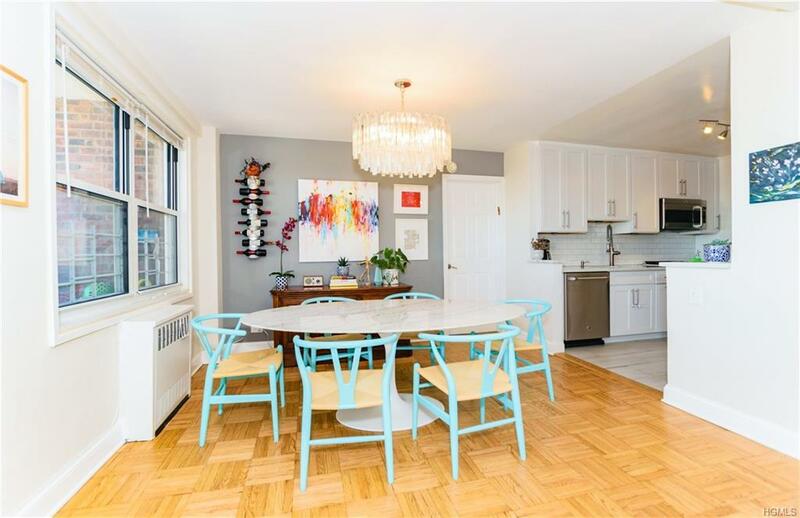 Exquisitely renovated 2 bedroom, 2 full bath apartment that can easily convert to 3 bedrooms. 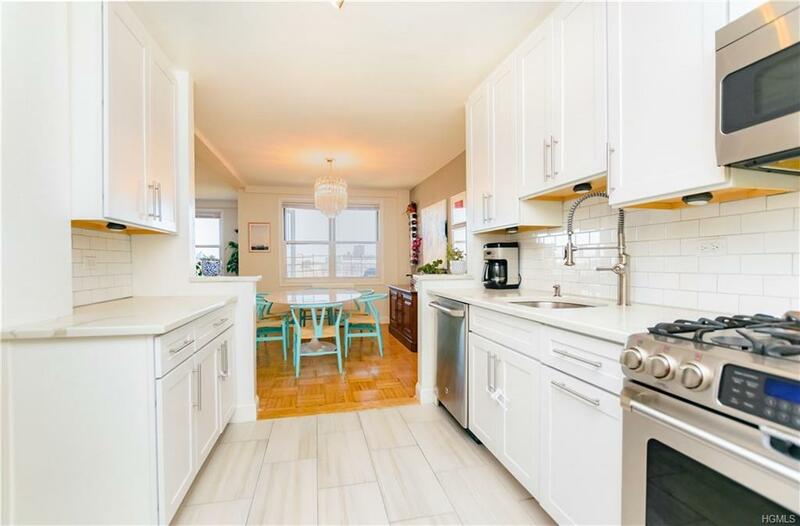 Details include stylishly renovated kitchen and bathrooms, spacious dining-L, private balcony w/open Southeastern views, abundant closets and parquet wood floors. The Woodlands is one of Riverdale's finest full-service co-ops. 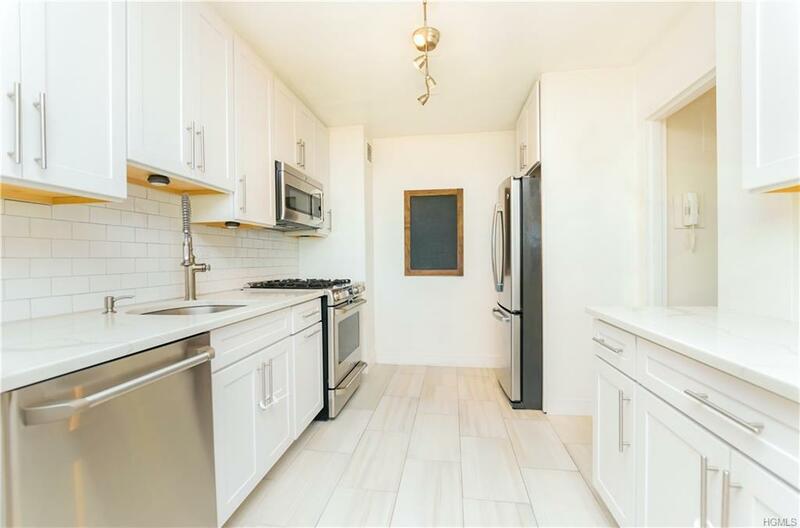 Amenities include 24-hour doorman, full time super, porter staff, indoor/outdoor parking (subject to availability), fitness room, common laundry room, storage room, bike storage, playground, and a beautifully landscaped garden. The building's central location makes it convenient to shops, restaurants and all that Riverdale has to offer. It's also a commuter's dream: outside the building's entrance is the Metro North Rail Link. Express buses to Manhattan's east side, west side and Wall Street are right down the block as are the local buses to the 1 and A subways. 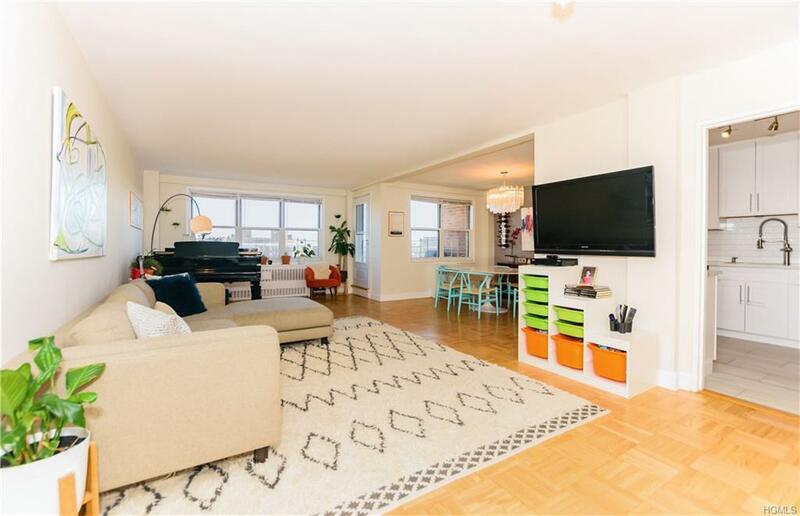 Easy access to the Henry Hudson Pkwy and the NYS Thruway. Dogs welcome and Pied--terre allowed.